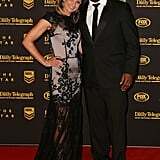 NRL players descended upon The Star in Sydney for the 2013 Dally M Awards last night. 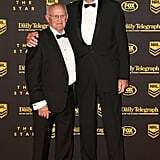 The predicted blustery winds and rain held off for NRL’s night of nights, allowing the star players and their designer-clad wives and girlfriends to walk the red carpet without fear of ruining their looks. The Burgess brothers of the Rabbitohs — Luke, Sam, Tom and George — had all eyes on them as they made their entrance with their glamorous partners — Luke with former Australia’s Next Top Model contestant Yolanda Hodgson, Sam with The X Factor’s Joelle Hadjia, and Tom with his new squeeze Laura Dundovic, who dazzled in white Toni Maticevski. George posed with their proud mother Julie Burgess. 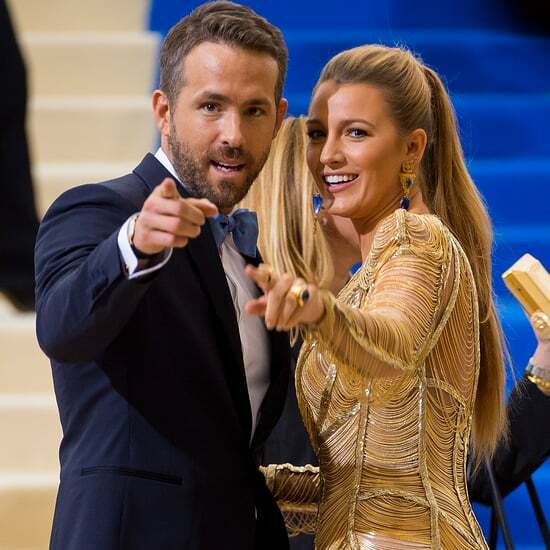 Among the last to walk the red carpet were Roosters captain Anthony Minichiello and his eight-months-pregnant wife Terry Biviano, who draped her baby bump in a Steven Khalil creation with strategic sheer fabric placement. Stars of the Australian music industry were also on hand for the event, including Timomatic and Jessica Mauboy, who performed during the proceedings. Lincoln Lewis made it a boys’ night out by bringing his brother Mitch along. 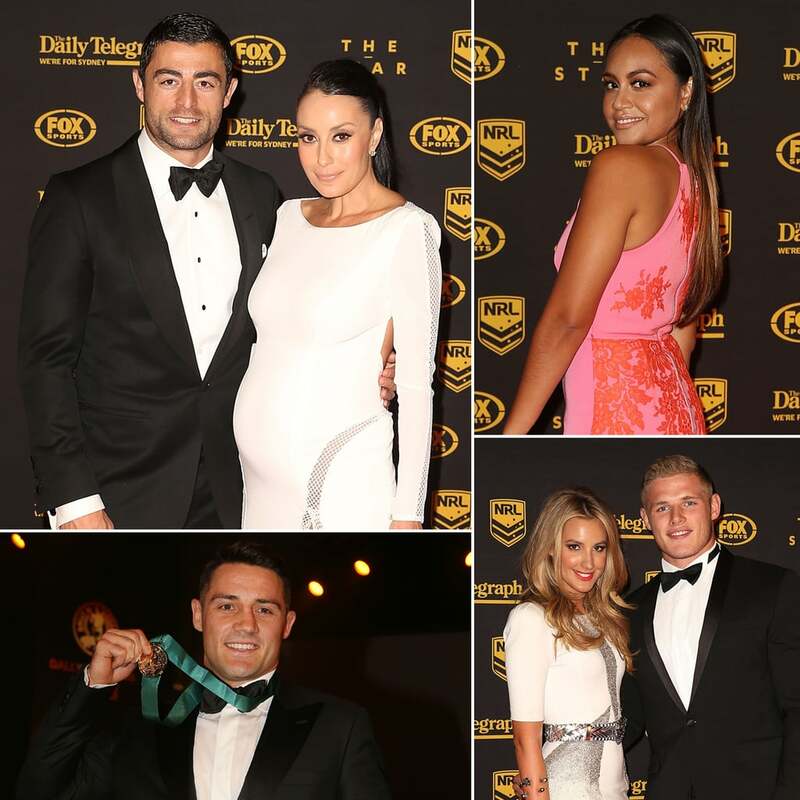 Click through to see all the NRL players and their WAGs at the event.